Taller, thinner, and with better endurance than their Siberian counterparts, this breed of dog is not officially recognized by all kennels but holds a special place with locals. This is a working dog that loves to run and be in snow. Alaskan Huskies are warm, affectionate, and what is more, dangerously clever. Being light and fast, many racers prefer these dogs. Alaskan Huskies are often prized the most on this list, and puppies can be hard to come by. Much larger than similar Huskies, the Alaskan malamute is an enormously fluffy sled-towing machine. One adult Malamute can pull in excess of 2,000 lbs. It is this sheer strength though that prevents these dogs from being used in races. 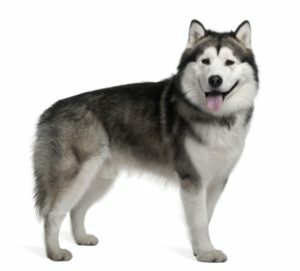 Weighing 50% more than comparable Alaskan Huskies, Malamutes are much better at endurance and high-capacity runs than speed. This has not led to a lack of love, though. Malamutes are incredibly sweet and outgoing. Also, they are excellent family dogs! Despite its misleading name, the Canadian Eskimo dog is a common dog in northern climates and can be found in Alaska, Canada, and Greenland. Not being confined to simply sledding, the breed is well known for its ability to hunt polar bears and seals. While not the fastest dog, Canadian Eskimo Dogs are loved by mushers (the human drivers) not only for their loyal temperament but because on the trail they often hunt and eat their own food! Modern sled dogs are canine athletes, who train year round for their race to get into prime condition. Although physical traits of endurance, speed, strength and good fur are necessary components for a long race, the sheer desire to run is the most important trait these dogs can have. Alaska is dog country and sledding dogs are pampered everywhere. Sled dog racers stay at the Puffin every year. The truck full of ecstatic and howling dogs ready to run is always a welcome sight. Try bringing your canine companion on your next trip! We’d be happy to have you.